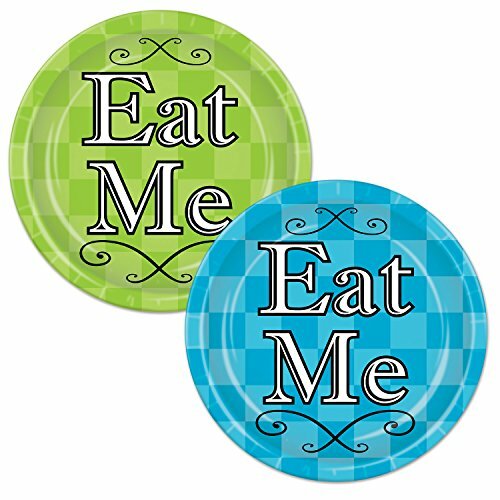 Set of 24 paper plates, in 2 different colors and the words 'eat me' on them. 9" in diameter. Bristle 58184 Alice in Wonderland Plates. The package contains 24 paper plates. These plates are assorted lime green and turquoise colors with a checkerboard printed pattern. “Eat me” is printed on all of them. These plates measure 9 inches. Use these cute plates for an Alice in Wonderland themed party!.